The vinyl press of the cd out on SOA records. This is an official reissue of the Torino hc legends! Here you can find a selection of their discography that consisted of the legendary tape split with Negazione, a 7" and 12". 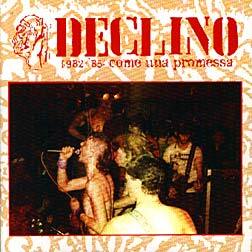 This is 100% Italian hc from the 80ies finally on vinyl!